Members of Cebu Climate Change Association Inc. (CCCAI) organized a Mangrove Tree planting activity which was held last June 7, 2014. Together with some volunteers, they have planted an estimated 3thousand mangrove plants. The forests, in turn, have provided for the community, bringing in birders and other tourists and becoming a habitat for crabs and fish to harvest. This was supported by the LGU of Brgy. Tungkil and was headed by Brgy. Capt. Manolo Delgado and his group. Some members of CCCAI doing their part! CCCIA + LGU + Tungkil Community = Success! They meet-up at Mc Do Mambaling and start to travel going to Tungkil at 6:30am. There were around 20+ members and 20 more volunteers including me, villagers and children of Tungkil. Bien from Happy Feet – Barefoot Runner is with this mission as well. 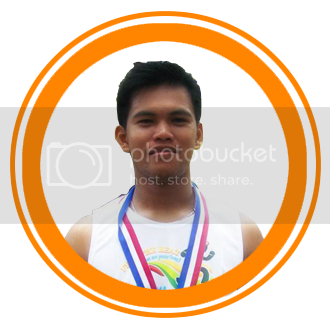 Bien is also the organizer(Danao City Rumba and Green Milers – Road Trail Compostela) from the Northern Cebu and one of the founders of Runnilla Eco Challenge. CCCAI and Tungkil LGU tied-up together to save and protect the habitat. They assigned a family who can monitor the plants and teach them how they can propagate the Mangroves. They said that if the plants are fully grown or ready to be planted, they will buy it from the families. This can be an additional income for them. They educated the children by telling them what is the purpose and role of the Mangroves in our shoreline. Aside from shelter for fish, crabs, birds or any living organism in the sea, mangroves provides protection also to the families living at the shoreline. Aside from it, it can prevent a sand erosion, sustain big waves, storm surge (especially during hurricanes) and tsunamis. “The mangroves’ massive root systems are efficient at dissipating wave energy. Likewise, they slow down tidal water enough so its sediment is deposited as the tide comes in, leaving all except fine particles when the tide ebbs. In this way, mangroves build their own environments. Because of the uniqueness of mangrove ecosystems and the protection against erosion they provide, they are often the object of conservation programs, including national biodiversity action plans. However, mangrove swamps’ protective value is sometimes overstated. Wave energy is typically low in areas where mangroves grow, so their effect on erosion can only be measured over long periods. Their capacity to limit high-energy wave erosion is limited to events such as storm surges and tsunamis. Erosion often occurs on the outer sides of bends in river channels that wind through mangroves, while new stands of mangroves are appearing on the inner sides where sediment is accruing. The unique ecosystem found in the intricate mesh of mangrove roots offers a quiet marine region for young organisms. In areas where roots are permanently submerged, the organisms they host include algae, barnacles, oysters, sponges, and bryozoans, which all require a hard surface for anchoring while they filter feed. Shrimps and mud lobsters use the muddy bottoms as their home. Mangrove crabs mulch on the mangrove leaves, adding nutritients to the mangal muds for other bottom feeders. In at least some cases, export of carbon fixed in mangroves is important in coastal food webs. Grow Mangroves! Grow. protect us and provide us more fishes! One of this children, asked me. Kuya nganu ge tamnan mani ug Mangrove? I told them, “Para ig bagyo dili mo makuyawan, kay mao mani mo pogong sa dagko nga bawd, nya naa pod mo daghan isda makuha dri. Kay ari man mangitlog ang mga isda. The girl nodded and smile at me. She told me that some people pull-out the mangroves out cause they are against of this. I told her nga report them to brgy. captain cause this is important for your future. When pa kaha ta makat.on sa saktong pag labay sa basura? Trespassers should pay more than this! Engr. Danilo Alfornon in action! 11:30am we leave Brgy. Tungkil and our mission is accomplished and I am grateful that I am part of this. After our Mangrove planting, now it’s time to go to the mountains of Calbasa-an School. Sitio Calbasa-an is part of Camp 7, Minglanilla. Sir Danilo Alfornon and the team are interested to provide a Solar Panel for this school. We are lucky to know him and his group. CCCAI need to walk 1.5Km going to Calbasa-an School. Me, Sir Danilo, and Sir Ahmad Ismael, only the 3 of us survive for this uphill walk going to school. Sir Jojo and company backtrack where Habal-habal(motorcycle for rent) are parked. After our visit, we talked with Mam Irene Gantalao (Calbasa-an Teacher and Caretaker) and Mam Maria Canedo Tecson (also a teacher in there). They are very hospitable and offered us puso, lechon manok, and softdrinks. Thanks Mam! Soon the Solar will be installed at their school we will just wait for the delivery. Before and after, 2 months after they clean the shoreline. We should protect our ocean, our ocean is the source of life. Oceans are a critical player in the basic elements we need to survive. Ocean plants produce half of the world’s oxygen, then these amazing waters absorb nearly one-third of human-caused carbon dioxide emissions. Oceans also regulate our weather and form the clouds that bring us fresh water. Cebu Climate Change Association Inc. is also the group behind the event: Dagan Para sa Kalikupan, this was happened last June 1, 2014 at Parkmall Mandaue. That day was very fulfilling! It’s like hitting 2 birds in one stone. Kudos CCCAI and to all the volunteers and members who made this mission possible! More power guys!!! * You might also want to check Cebu Climate Changes Association Inc.’s Runner: From Maternity Run to Dagan Para sa Kalikupan we feature Engr. Danilo Alfornon.